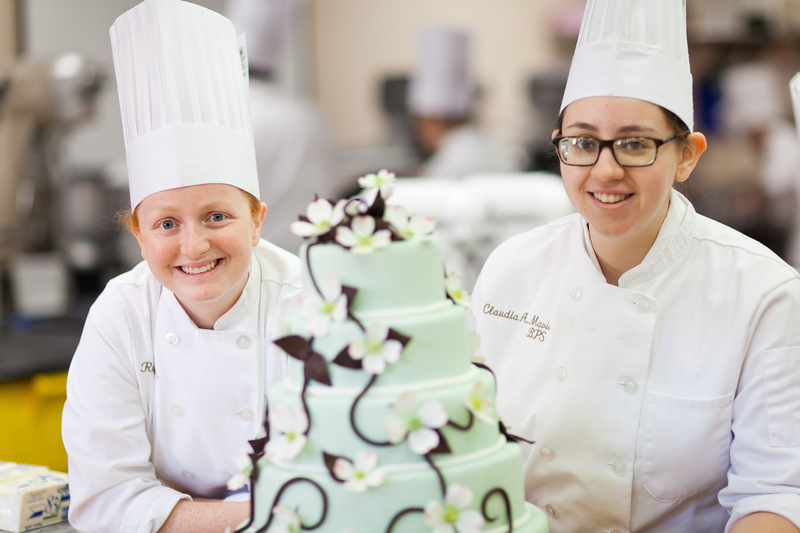 Hyde Park, NY – On the heels of the successful launch of its degree completion program in Culinary Arts in 2017, The Culinary Institute of America announces a sister Bachelor of Professional Studies degree in Baking and Pastry Arts. Now being offered at the college’s New York campus, this chance to earn a valuable bachelor’s degree is designed for motivated students who have at least 30 eligible transfer credits earned at another college. Career changers and college students can use a broad range of college credits they have already earned to speed up their path to a rewarding career. Students in the program will waste no time beginning the unparalleled hands-on baking and pastry education that only the CIA can provide, as their transfer credits will be applied toward liberal arts requirements and free electives. Supplementing their core courses, students will gain field experience during a full-semester internship and have an opportunity to participate in the college’s semester-away academic concentrations offered at campuses across the country and abroad, including Advanced Concepts in Baking and Pastry and Advanced Wine, Beverage, and Hospitality. As with all CIA students, participants in this program will have access to the college’s career fairs. Several times a year, more than 130 leading restaurant, foodservice, and hospitality companies come to campus to actively recruit, knowing that students with a CIA education are primed for career success. The bachelor’s degrees in Baking and Pastry Arts and Culinary Arts join existing majors in Food Business Management, Culinary Science, Applied Food Studies, and Hospitality Management. Select transfer and life achievement credits can be applied to these other bachelor’s degrees as well. The college also offers associate degrees in Culinary Arts and Baking and Pastry Arts and an online master’s degree in Food Business. For more information or an application, visit www.ciachef.edu/cia-admissions or call 1-800-CULINARY.